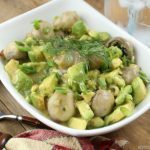 This salad is super easy to make as your literally just tossing tender mushrooms & avocados in Italian dressing! Easy and VERY delicious! 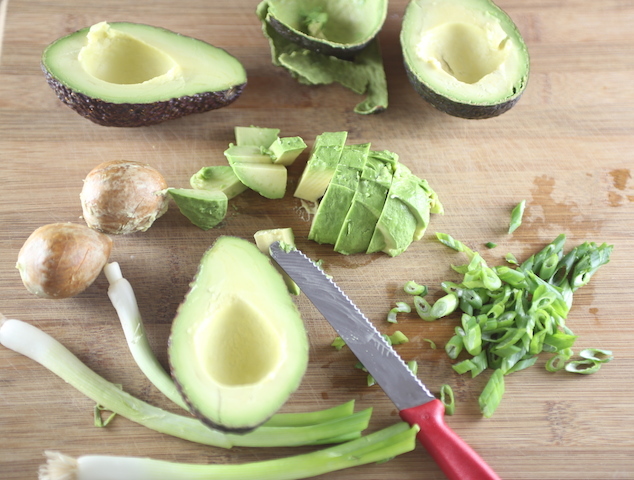 My mother happened to toss chopped avocados in Italian dressing one morning and after I tried her combination (and I’am not even an avocado kind of person) I wanted to recreate a salad version! Italian dressing really gives this salad a boost of flavor especially since avocado’s can be a bit bland alone. I highly recommend trying this salad! 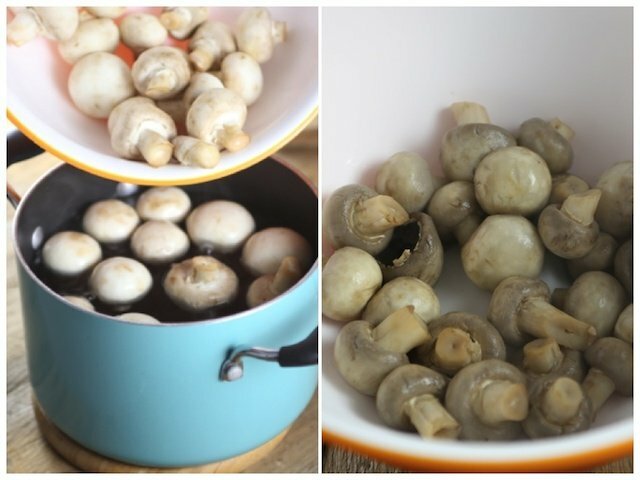 Bring a medium sized pot of boiling water (about half way full of water) to a boil; add vinegar, 2 dashes of salt and the mushrooms. Boil for 8 minutes. 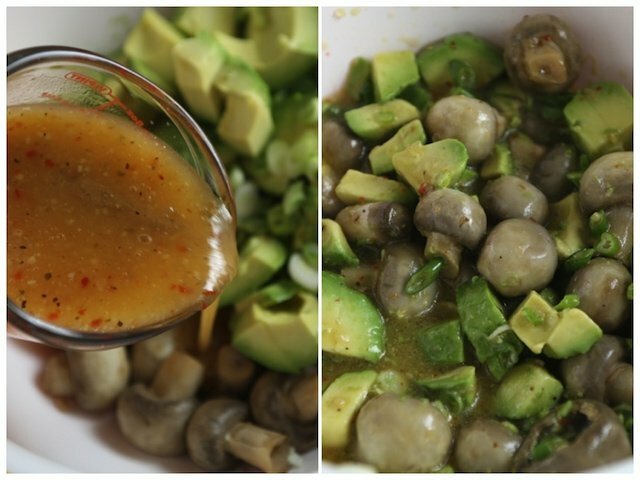 Drain; transfer mushrooms to a large bowl and cool mushrooms to room temperature before adding the dressing. 3. While mushrooms are cooling dice peeled and pitted avocados. Chop the green onions and set aside. 4. 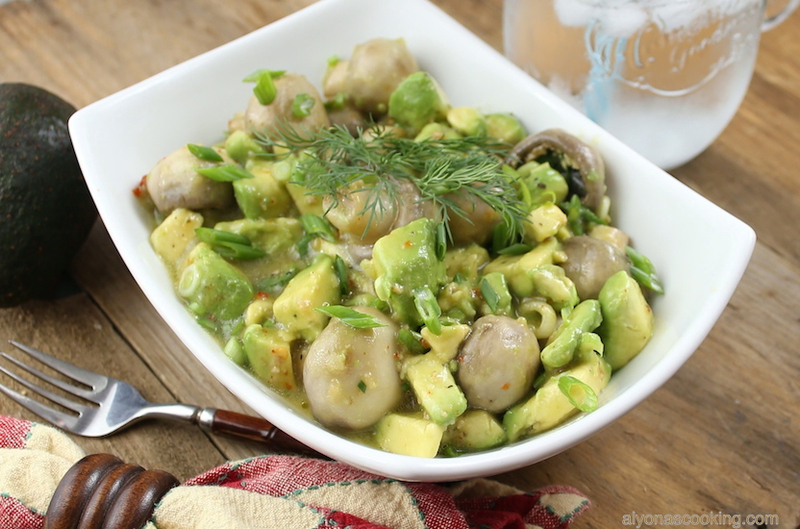 When mushrooms have cooled add the dressing, avocados, and green onions. Toss everything together to combine and refrigerate for at least an hour for flavors to meld together. 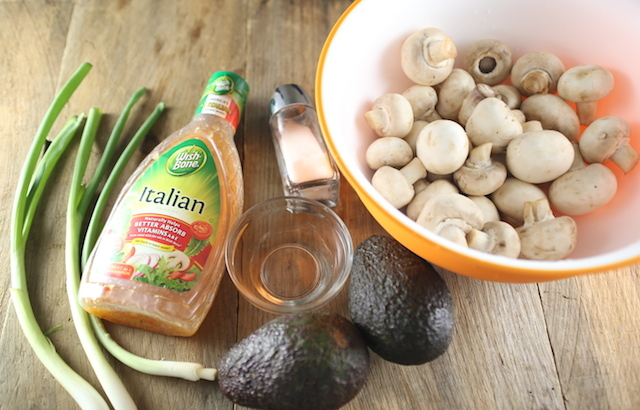 TIP: Italian dressing has a bit of acid in it that prevents avocado’s from browning so quickly. While mushrooms are cooling dice peeled and pitted avocados. Chop the green onions and set aside. 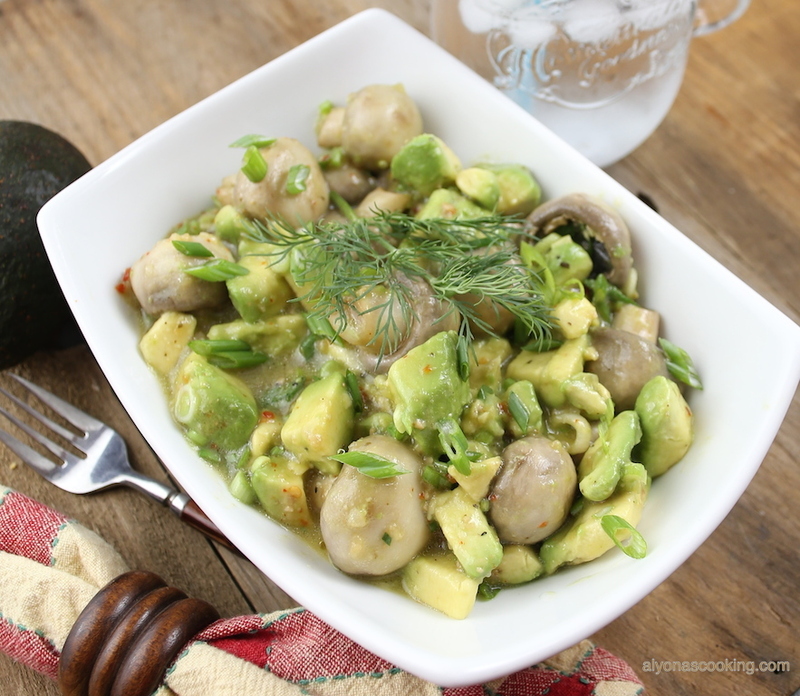 When mushrooms have cooled add the dressing, avocados, and green onions. Toss everything together to combine and refrigerate for at least an hour for flavors to meld together. You are right its Easy and VERY delicious!